Dolman Law Group is an award-winning Personal Injury and Civil Trial Firm with offices in Clearwater, Saint Petersburg and Bradenton, Florida. Our practice is client centered; many of our cases are referred by current and former clients. We attribute this success to the personal attention we give to each case. Each attorney at Dolman Law Group provides their cell phone number and email address to maintain an open line of communication. Dolman Law Group obtains big firm results with small firm attention. Our firm has the necessary experience and resources to ensure justice for individuals harmed by a negligent party. 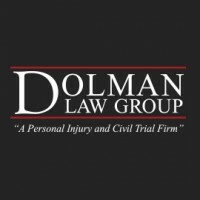 For more information about our firm visit DolmanLaw.com or contact us online today.